Jim and Lana Wheatley, Rockwall, TX, currently serve on the Board of Directors as ex-officio members. They served as President Couple from 2014-2016 and 2016-2018. Jim and Lana are a certified Better Marriages Leader Couple, certified Better Marriages Specialists in Marriage Enrichment, and Better Marriages Trainer Intern Couple. Having also served as past President Couple of Better Marriages Texas, they have been serving on that board since June of 2005. In addition, they lead an open Marriage Enrichment Group (MEG) hosted at First Baptist Church in Rockwall, TX, which has been ongoing since 1997. They also serve couples through certified pre-marital and mentoring marriage education programs, as well as being Better Marriages Diamond Lifetime Members. 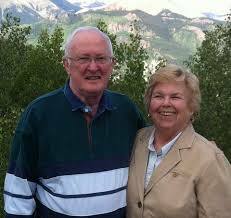 Jim and Lana have been married since 1970 and have a son, daughter, son-in-law and two grandsons. Since they are retired now, they really enjoy spending time with all of them. Jim is a retired electrical engineer, and Lana retired from teaching and auditing.